Mercy Clinics’ provider John Olson, PA-C, was honored by the Iowa Physician Assistant Society at its annual meeting Oct. 11. Olson received the Lifetime Achievement Award. 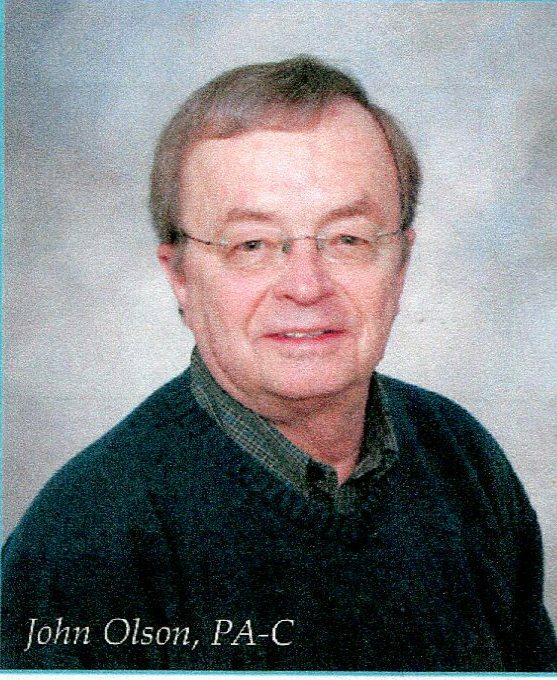 Olson recently retired from full-time duties, but still works PRN at Mercy Clinics Family Medicine & Urgent Care North. He was recognized with the Lifetime Achievement Award for his outstanding sendee to his patients and the PA profession. Requirements for consideration of this award include promoting the physician association, volunteering or mission work and leaving a lasting impression on the PA community. Olson has had an accomplished 44-year career in the PA profession, and recently retired in July of this year. As an IPAS member for the past 40 years, he has advocated for and helped to promote the profession, and was instrumental in lobbying for –and obtaining–prescription privileges for PAs. For six years he volunteered on the PA Board, and served as IPAS President in 2000. Olson has not only given back to the PA profession in an official capacity, but has also focused on patient care, serving the medically underserved at the Primary Health Care Clinic in Marshalltown and in Appalachia for the National Health Service Corps.